Offer valid January 1-31, 2019 at any participating BERNINA Store. 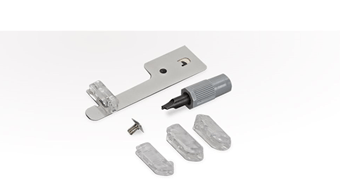 Offer good for 25% off one (1) BERNINA Spanish Hemstitch Attachment. Cannot be replaced with any other offer. Not valid on previous purchases. Taxes are not included in the total purchase calculation. Cannot be redeemed for cash. Some exclusions may apply. Subject to availability. Available while supplies last. Offer limited to the residents of the 50 United States only.